If we are to cast any light on the origins of paganism we have to go down into the darkness, deep into the ancient caves and look upon the prehistoric cave paintings. 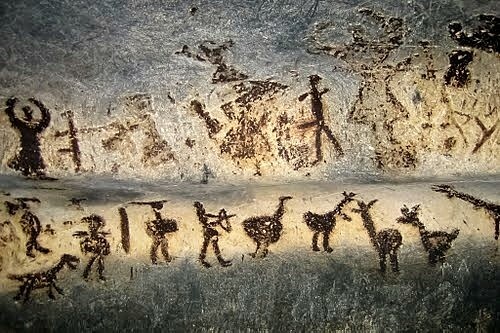 There we find recorded the images drawn by early humans. When we go down into those caves today with our floodlights we see them as works of art. But those ancient “artists”, deep in the earth, working by the dancing light of their fires, were really composing prayers. These ancient drawings were of the animals that the early humans not only hunted as food, but also venerated as spirits, and their presence of in the land meant the difference between life and death to the people. In time these early humans came to associate the appearance of these animals with the changing of the seasons, and in time the seasons with the movements of the Sun and the Moon and with this association came the awareness of the cycles of Nature. Before long early humans began to comprehend that there was something big, something “magical” going on and with that awareness came a desire to be a part of and that magic. Unlike the patriarchal religions of Christianity, Islam and Judaism, the divine is expressed in female as well as in the male. There is both the Goddess as well as the God, the Goddess represents all that is female and the God represents all that is male and these dualities are within all creation as well. Therefore, the pagan view of the universe is one of complementary opposites, of male and female, of light and dark, of yin and yang. The Gods of the major religions are above Nature, but the Pagan Gods and Goddesses are Nature. It must be noted here that the belief in Gods and Goddesses is not a defining requisite of being a Pagan. One might very well be an atheist or “non-theist” in their beliefs and still be a pagan, Pagans have always held a wide variety of beliefs about the nature of deities but, share an emotional element of philosophical naturalism or humanism. A belief in a unifying force made manifest in the natural world without deities creating or controlling that manifestation does not come in conflict with the basic animist (or stoic) perspectives of their pagan philosophy. you've had some kind of life experience that has shocked you, awakened you. Perhaps this is why the term pagan still brings fear to the minds of many Christians and other people in the sub-Abrahamic cultures. Within these cultures power has shifted to the male as rulers and priests, enforcing their power and eradicating the priestess and her Goddess image. The succeedance of land inheritance from the male has become the crux of man's power, whereas before the guardianship of the land had once been the role of woman. The Pagan idea threatens the basic power structure that came out of the patriarchal hegemony. 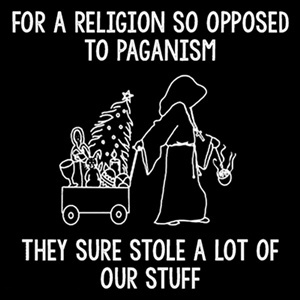 Paganism was the enemy and, in the eyes of the Church, needed to be exterminated. The Church of Rome set out to eradicate paganism (and pagans themselves) by building up an image of evil around pagans so that even today ordinary people think Pagans (and/or Witches) perform evil spells and rituals in the name of a dark master, in the name of “Satan”. The Christian church developed this concept of Lucifer, the fallen angel and “Satan” was officially adopted by the Christian Church in the year 447 and the pogrom against “The Enemy of God” was legitimized and the genocide of the pagan people begun. It is appropriate, at this point, to note the great hypocrisy of the early Christian Church at the time of this “demonization” of the pagan religion. Though the Church was willing to expunge the concepts of nature and the Goddess from the minds of Man, it was not going to throw out the baby with the bathwater and it incorporated vast elements of the pagan religion within its own ritual structure. Anyone brought up in the Roman Catholic structure would immediately recognize the ritual items of the Catholic Church upon observing Pagan ceremonies. The vestments, the chalice and the censer are all derived from ancient pagan rituals and even the folk traditions of everything from the Christmas tree to the Easter Bunny come from pagan folklore long before the time of Christ. The church also absorbed the pagan celebrations and disguised them as there own. For example Jesus was not born on the 25th December, but was probably born in the Spring of 7 BCE, which would coincide with the time of the Roman census as related in the biblical account of his birth. The Council of Nicaea in 325 moved the celebration of the birth of Jesus to that of the pagan celebration of the return of the Sun “Yule” , the Winter Solstice. But, as to the accusation of pagans worshipping Satan it has no basis in fact within the concept of the pagan religion. The pagan view of the universe is one of complementary opposites, of yin and yang, of the male and female. The major patriarchal religions have a view of antagonistic opposites, of good and evil, of God and Satan. Pagans have no concept of the intrinsic sinful nature of Man and therefore Satan to tempt Man to sin. Therefore, the pagan religions have no such concept of Satan. Satan is a Judeo-Christian Christian belief system because it is an anti-God (or anti-Christ) figure of that system. Therefore, Satanist would be in a sense followers of the Judeo/Christian belief system because they worship an anti-god figure which belongs to that system and not of pagan belief system at all. 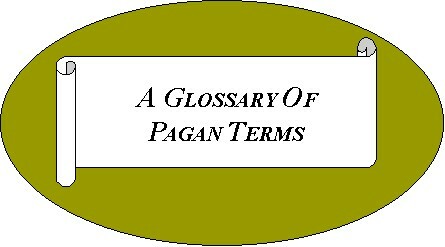 So, what then are the basic beliefs of the pagans? 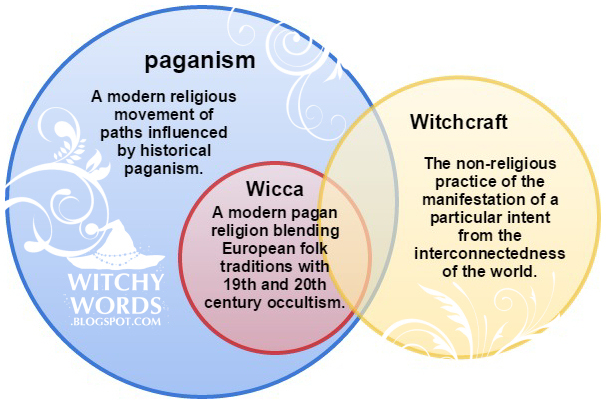 Like the name pagan itself, there is no consensus on the exact practice of the pagan lifestyle and unlike the patriarchal religions of Christianity, Islam and Judaism there is no one set universal dogma that attaches itself to the pagan religion. There is a great variety of traditions within the practice of paganism throughout the world. To the pagans, everyone is unique and each person’s spirituality comes from an equally unique experience and that each person should find their spirituality according to the dictates of their own soul. Pagan’s celebrate their diversity and for this reason respect all sincere beliefs, and do not proselytize or seek converts, from other faiths and from society in general. Their practice in general, has an essence of only tolerance. Pagans respect the rights of every living soul, whether human, animal, plant or rock and are ever mindful of the actions of cause and effect, by thought or deed, upon the creatures of the Earth. Some Pagans may worship a pantheon of polytheistic Gods and Goddesses of Nature, drawn from the folklore and mythology of their native lands, while others may focus on an all encompassing Life Force of no specific gender. Some pagans see life in terms of animism, the belief that all natural objects and the universe itself have souls. Their beliefs are based upon direct perception of the forces of nature and their beliefs and practices convey respect for these forces and beings. 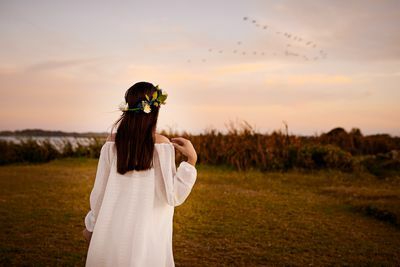 What most pagans share in common is an abiding respect for Nature, a respect for the traditions of their ancestral heritage and there is a strong sense of community and guardianship for the care of the Earth. Children are loved and honored and children and encouraged to celebrate the natural cycles of Nature throughout the year. To the traditional pagan there is no “one right way” to believe, at the core of paganism there are four basic beliefs that Pagans share. 1) The Divine Principle is within allliving things and each is an important, integral part of the universe and has made itself manifest in different ways, in differentplaces and at different times and no one manifestation can express the totality of theall encompassing whole. 2) The Divine Principle is present in Nature and in each one of us. 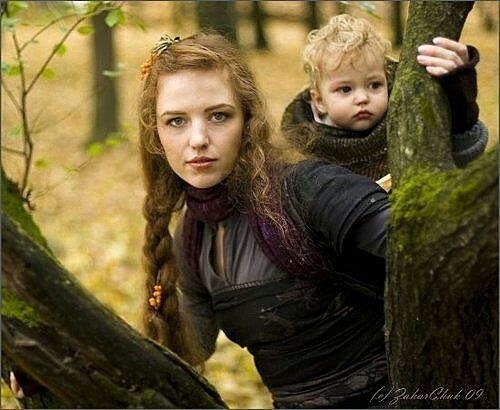 Pagans are very concerned about the state of Mother Earth and consider themselves Her guardians and protectors. They honor the life forms which lived with them on the planet, take only what they need and pay homage to the Earth for providing for them by giving back to the Earth. 3) The Divine Principle is represented as both female and male, the Goddess and God, the yin and yang. Pagans believe strongly in the balance and harmony of these dualities and that they must address theimbalances encountered and bring them into balance. 4) The Basic Pagan Ethic is “do no harm”. This means a Pagan cannot cause harm to anyone or anything and they must give back in some way to counteract anything taken or abused. Like most religions, pagans celebrate rituals marking changes and events in life. Rituals can be ceremonies of celebration or a way of honoring the Deities and thanking them for their blessings. In the pagan calendar there are usually eight major holy days, or Sabbats relating to the cycles of Nature. The major pagan Sabbats or Festivals are determined by the position of the Sun and Moon within the agricultural year which ordained the days when one should plant or harvest crops, breed animals, or kill livestock and decreed the times when the Gods should be worshipped. These Sabbats were usually celebrated on the evening preceding the festival day, for the night was seen as belonging to the next day. The day was traversed from sunset to sunset. Neo-paganism is an umbrella term used to describe a wide variety of modern religious movements that profess to a revival of ancient mostly European and mostly pre-Christian religions and the term provides a means of distinguishing between historical pagans of ancient cultures and the adherents of modern religious movements. As the name implies, these religions are paganistic in nature, but their t relationship to older forms of Paganism is the source of much controversy. Druidry: In the Celtic religion, the modern words Druid or Druidism denote the practices of the ancient Druids, the priestly class in ancient Britain and Gaul . The historical knowledge of the Druids is very limited, as no Druidic documents have survived. Julius Caesar's ‘The Gallic Wars’ gives the fullest account of the ancient Druids and he describes the Druids as the learned priestly class, who were guardians of the unwritten ancient customary law and who had the power of executing judgment. To most people today, the Druids conjure up images of a mysterious, religious sect wearing strange robes and conducting archaic ceremonies out in the open air at Stonehenge . However, archeologists have shown that Stonehenge was built, over a period of centuries, from 2800 BC to 1550 BC, long before the arrival of the ancient Celts and there is no evidence that the ancient Druids ever used Stonehenge. Modern Druidism (neo-druidism) came out of the Romanticism Movement of the 18th Century and is thought to have some, though not many, connections to the Old Religion, instead being based largely on writings produced during and after the 18th Century from second hand sources and theories.